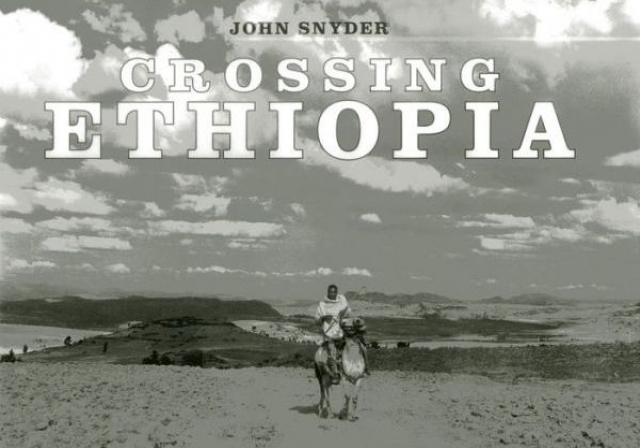 New York (TADIAS) — Forty two years ago, John Snyder traveled with his wife to Ethiopia to retrace Emperor Tewodros’ final route to Meqdela to face British troops numbering over 60,000. After contacting both the Ethiopian consulate and the office of Ethiopian Airlines to inquire about the feasibility of the route, John was connected to the late Professor Donald Crummey — who was teaching at Addis Ababa University at the time — and an Ethiopian translator. Arriving in Ethiopia John and his wife began the 300 mile expedition by bus, Land Rover, mule and foot, and John recorded his meetings with governors and civilians along the way and took extraordinary photographs, a selection of which are now published in his new book: Crossing Ethiopia. You can learn more about the book on Amazon.com.